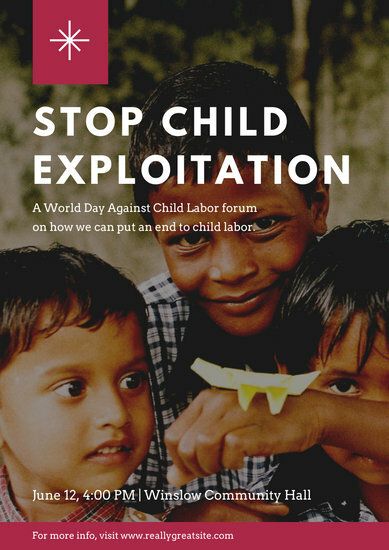 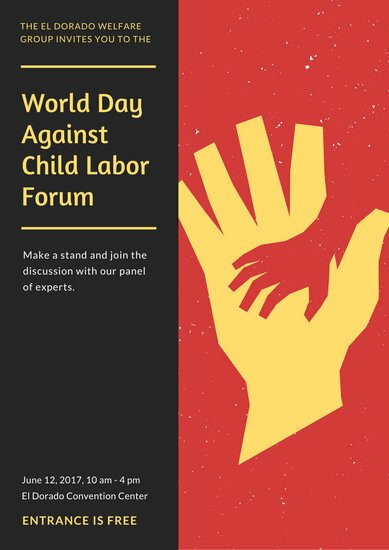 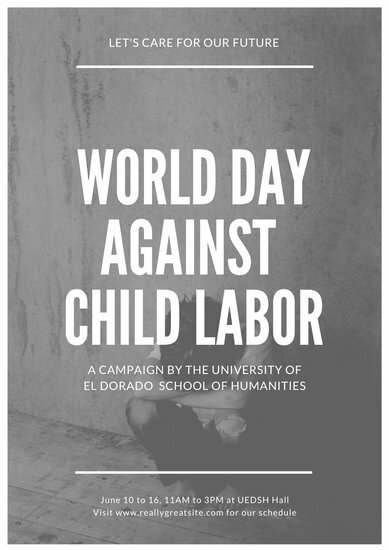 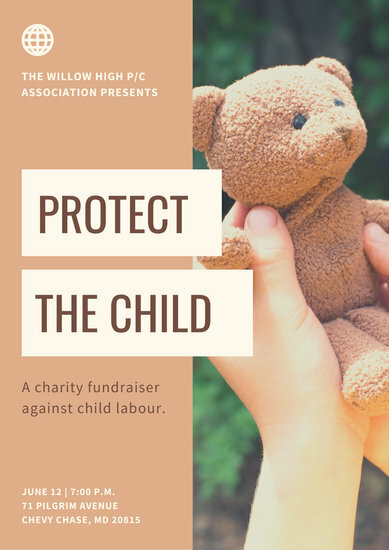 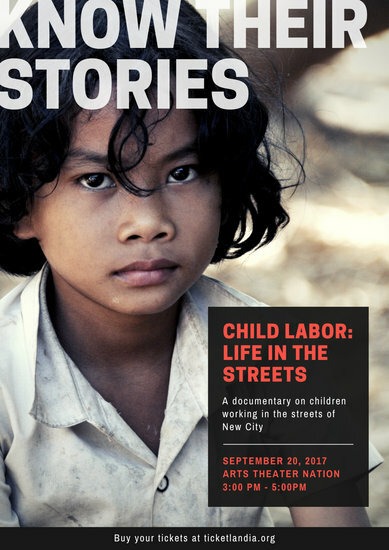 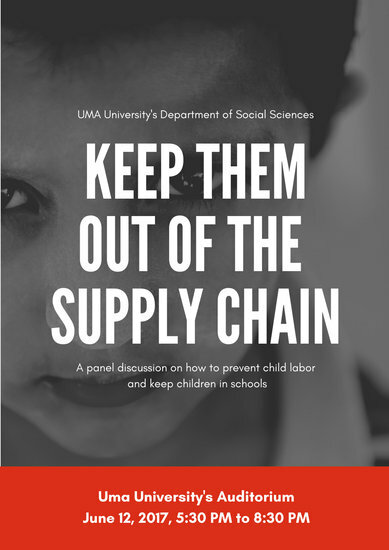 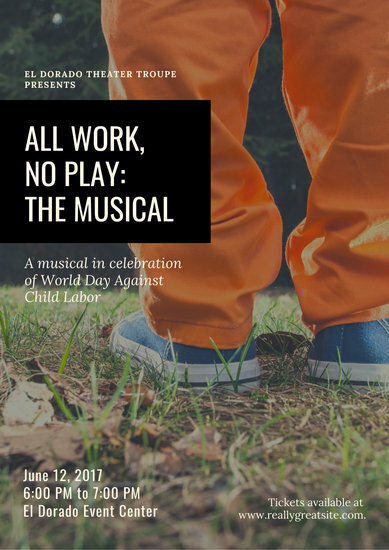 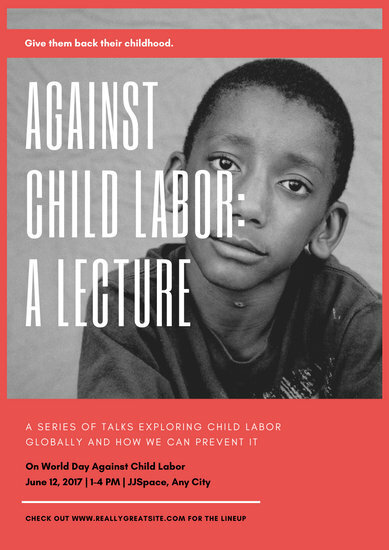 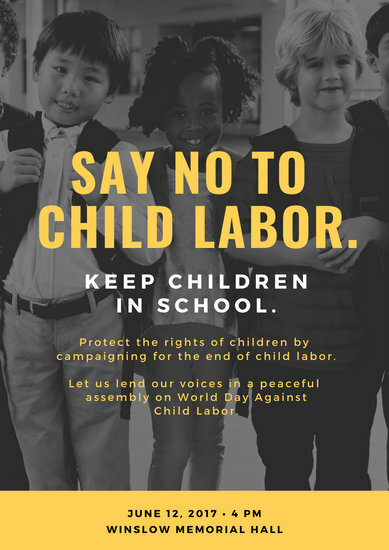 Promote action and awareness with World Day Against Child Labour posters from our collection of customizable templates. 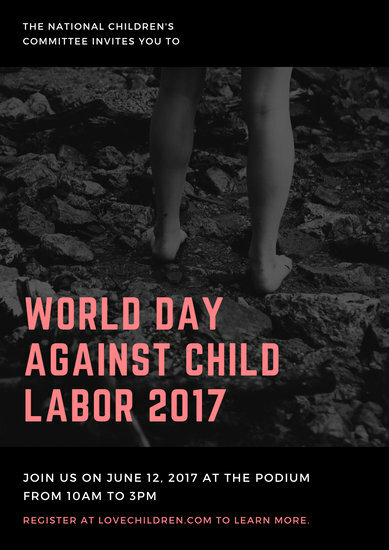 Despite the many efforts of human rights organizations across the globe, children still suffer from different forms of abuse and are deprived of care and quality education. 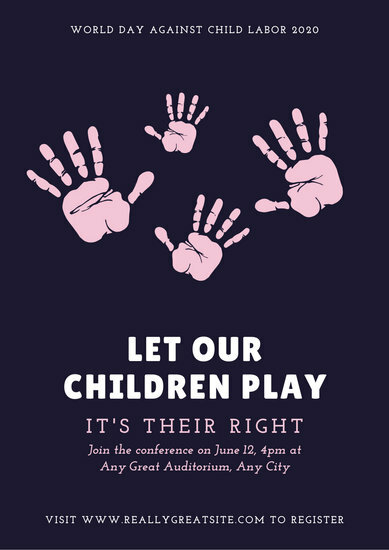 We can all play a part to further highlight the importance of upholding children's rights. 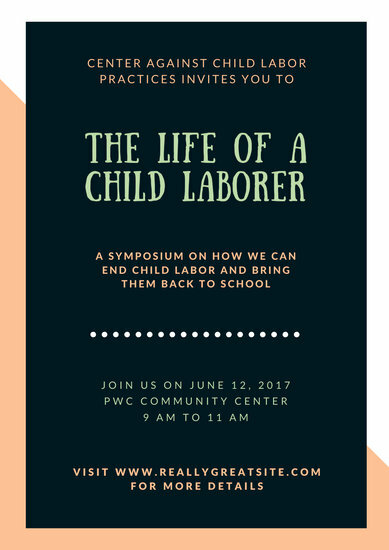 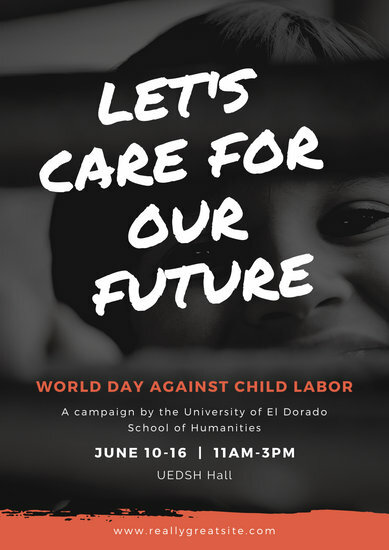 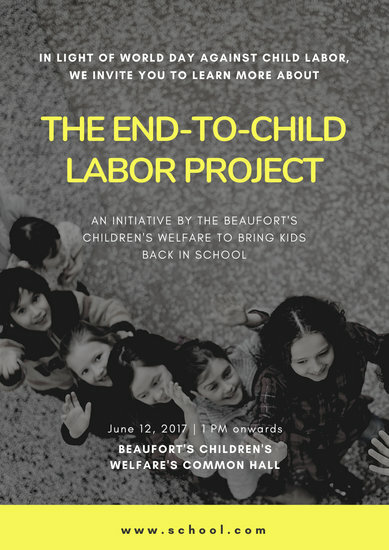 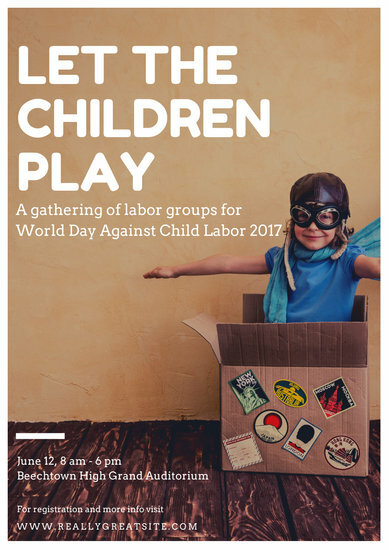 Every year on June 12, communities from all over the world come together to raise awareness on World Day Against Child Labor. 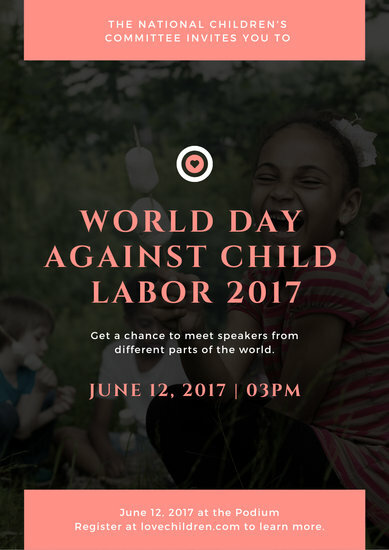 Plenty of fundraisers, seminars, panel discussions, and other events are held to put an end to the suffering of children everywhere. 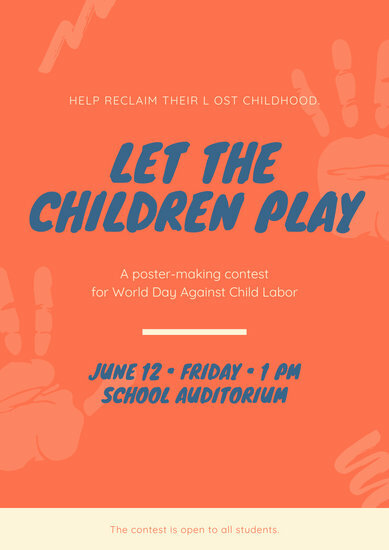 If you are planning to take part in this global effort, easily create your own posters on Canva where you're free to customize and design with as little effort and time as possible. 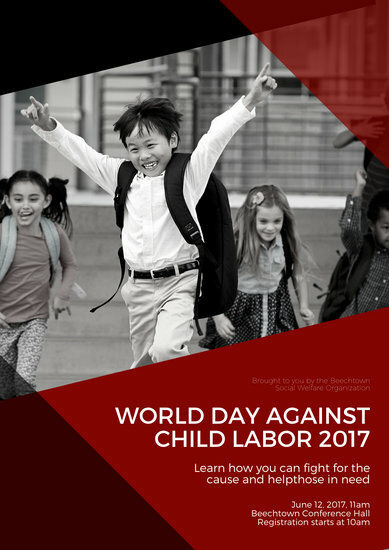 Start by choosing from hundreds of professionally-designed templates and create a thought-provoking poster to stress the importance of this annual global event. 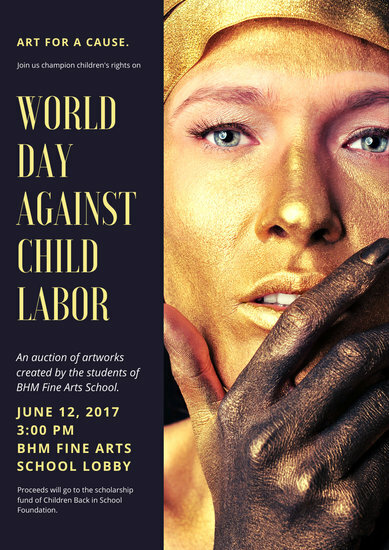 Look through our vast image library containing hundreds of free and premium stock photos to add to your poster. 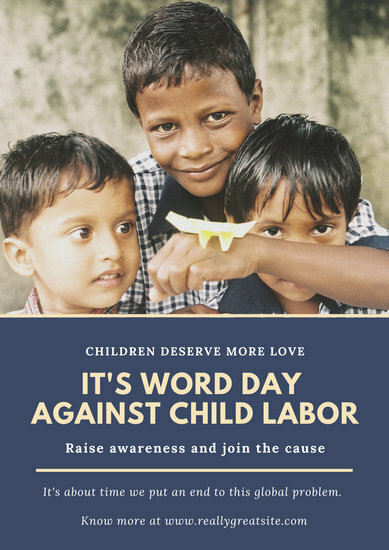 Upload your own photo using Canva's drag-and-drop feature. 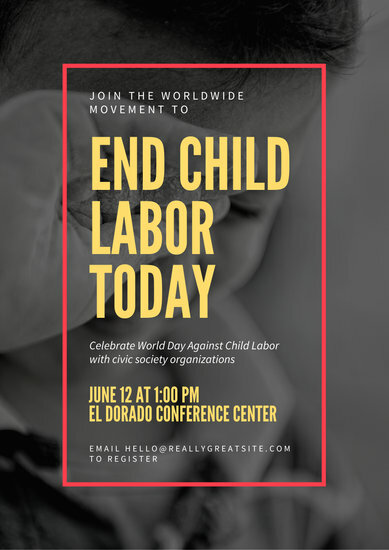 If you're holding an event, be sure to type in all the important details including the time, date, and venue using Canva's text tool filled with over a hundred fresh fonts and beautiful, ready-made typography designs. 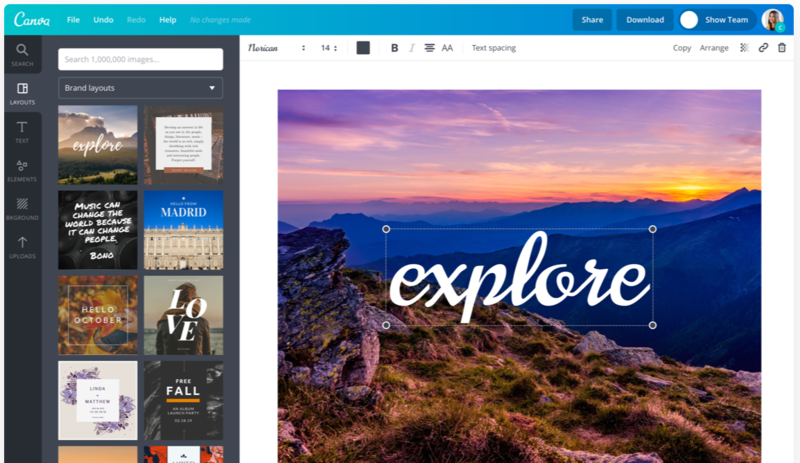 Add borders, stickers, lines or shapes from our media library to add depth to your design. 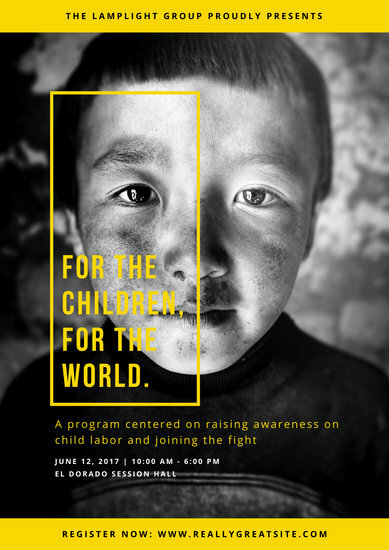 Once you're done designing, save your work in the PDF-recommended format for printing or in high-resolution JPG or PNG for sharing online. 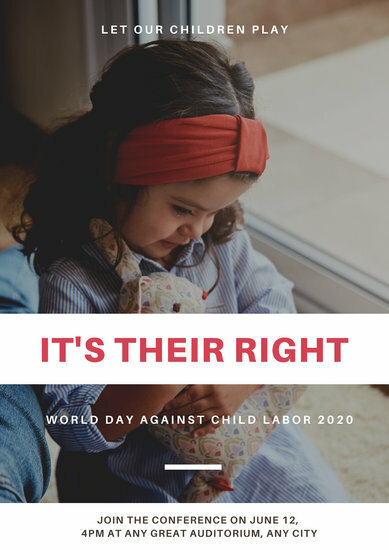 Start spreading the word about children's rights online too without leaving Canva at all. 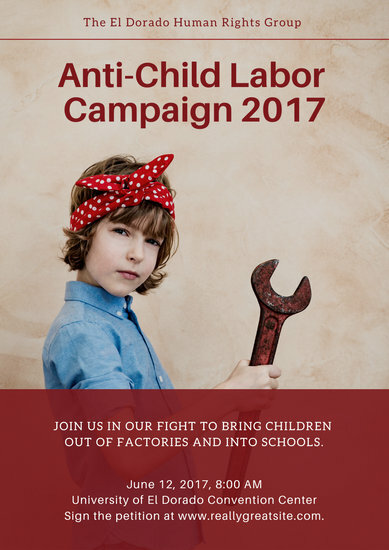 Our 'Share' button allows you to spread your poster through email or social media in just a click of a button.